Posted byDr Damon Ashworth April 16, 2019 April 16, 2019 Posted inPsychology, Public HealthTags: blog, CBT, Depression, growth, Happiness, Insights, life, mental health, mental illness, Psychology, Self-help, self-improvement, strategies, treatment, Vanuatu, writing10 Comments on What is Depression and How Can We Manage It? 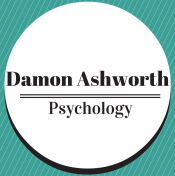 Posted byDr Damon Ashworth February 22, 2019 February 22, 2019 Posted inDeliberately BetterTags: blog, CBT, challenges, emotions, growth, Insights, life, mental health, Psychology, Self-help, self-improvement, strategies, success, treatment, Vanuatu, writing14 Comments on Why Bother Overcoming Fears? Posted byDr Damon Ashworth January 15, 2019 January 17, 2019 Posted inrelationshipsTags: blog, books, emotions, growth, Insights, life, mental health, Psychology, quotes, relationships, Self-help, self-improvement, strategies, success, writing21 Comments on Why Do Some People Cheat in Relationships and Others Remain Faithful?